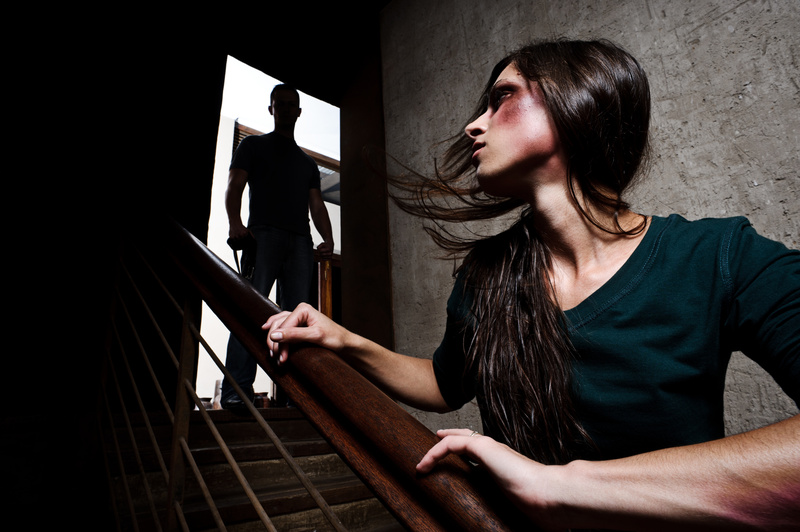 If you are in a situation where you are threatened with physical violence by a spouse or partner, it is imperative that you create a domestic violence escape plan to ensure that you may safely remove yourself from the situation. Sometimes it’s possible for you to remove the abuser from your household by obtaining a restraining order that forces the abuser to keep a certain distance from you. But be aware that police are only involved with restraining orders when they are breached—which is sometimes too late for you to do anything to protect yourself. If you do not have a restraining order in place, and the threat of violence is such that you fear for your or your children’s safety, it may be necessary to remove yourself from the premises. To do this effectively and safely, it is wise to come up with a domestic violence escape plan before you leave. The plan would include a list of things you need to bring with you, a place for you to stay, and ways to protect your new location from discovery by your abuser. Your driver’s license, car registration and auto insurance documents. Keep the kit at a safe location that your abuser does not know about—a friend or neighbor’s house, for instance. Figure out in advance where you are going to stay before you leave. If you don’t have friends or family nearby who can accommodate you, and don’t have the funds for a hotel or other temporary residence, contact your nearest women’s shelter and arrange to stay there. With any such advance preparation, it is important that you cover your tracks. If your abuser discovers you are planning to leave, there is a good chance this could trigger more violence. Abuse is about control, and many abusers take steps to control and monitor their victim’s phone calls, internet use and daily activities. Use a computer at work or at a public library to avoid leaving a digital trail. It is also advisable for you to change any online passwords your abuser may know. Use phone cards to make phone calls, or call from a phone outside the home, so information about your calls doesn’t appear on your monthly statements and thus provide your abuser with a means of tracking you down. The best time to leave is whenever your abuser is not around, and is unlikely to discover your absence for some time. The more of a head-start you have, the better. You may also want to plant false trails, by using your home phone to call hotels or other accommodations far away from where you actually plan to go. After you leave, get an unlisted phone number, as well as caller I.D.. Get a P.O. box and have your mail forwarded to that, rather than to your actual physical address. Close old bank and credit card accounts and set up a new bank account at a different bank. Make sure you contact your children’s school or day-care facilities, to let them know who is allowed to pick your children up and who is not. If you are not moving far away, or if you plan to stay in your home and have the abuser removed, you should still take precautions about your day to day activities. Avoid keeping a predictable schedule, find alternate routes to work or school, avoid shopping in places you used to shop or going to places you used to go to socialize. Always remember that there are people who are ready to help you in your time of crisis. If you are in New Jersey, visit the NJ Coalition for Battered Women site for information about protecting yourself and assistance in getting out of your abusive relationship. For other geographic regions, visit the National Domestic Abuse Hotline site, or call 1-800-799-7233 or 1-800-787-3224 (TTY) for immediate assistance. If you are a victim of domestic violence and need legal help, don’t hesitate to call our office at 856-227-7888 or e-mail us at hinklelaw@lyndahinkle.com for a free consultation. We are experienced with all areas of domestic violence law, and will get you the help you need.